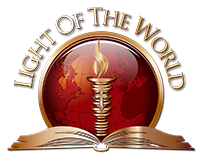 From Stockbridge to areas throughout the Metro-Atlanta area, Light of the World is reaching out beyond the walls to shine the Light of Jesus Christ in neighborhoods to bring salvation, healing and deliverance. As the disciples went out from the first church birthed in Jerusalem on the Day of Pentecost, so do members of Light of the World go out into the communities throughout our city to carry the gospel. The locations throughout the city are called SateLights. Services can be held in various facilities, including event facilities, hotels, movie theaters, country clubs, schools, etc. to provide a place of worship, teaching and fellowship. An overview of the Multi-site Ministry is below. We encourage you to contact the church office to let us know if you would like to partner with us to reach the lost for Jesus Christ by taking the ministry into the local neighborhoods of our city. We need your help. The leaders and locations of the ministry are below.